This love affair has yielded a memoir, Thinking of Miller Place, her anthology Seedlings, Stories of Relationships, inclusion in the anthologies MuseMatrix and Inside and Out: Women’s Truths, Women’s Stories, being an Ekphrasis participant Montclair NJ 2013 2015, and musings in her blogs at The Writing Life. Being both a writer and presenter about writing and speaking has given opportunities to work with emerging and published authors, in workshops, corporations, and schools for over twenty years. Whether writing, presenting, or storytelling, the seeds for stories, scenes, and characters are everywhere. Her business, Enhanced Life Management, is the core of her work and her educational and counseling training is visible as a writer, editor, writing and public speaking coach, storyteller, and observer of life. She shares personal essays, life strategies, and practical ideas with her readers and audiences in what can be termed “edu-entertainment.” She has presented at writing groups, conferences and workshops in NY, NJ, and AZ and has been a storyteller at Tucson Meet Yourself, Odyssey Storytelling, and Tellers of Tales in Tucson and her latest adventure took her to– Improvisation. Twenty-eight years as an elementary educator in West Caldwell New Jersey also included parental counseling, leadership workshops, negotiation skills in and out of the school setting, conflict resolution training, and process writing. She has been happily married to a wonderful, supportive man for twenty-nine years, enjoys the special bond of being an identical twin, as well as spending time with her extended family. She plays tennis, enjoys dancing, hiking, traveling, achieved the level of brown belt in Tae Kwon Do, dabbles in tap dancing, reads voraciously, and meets with other folks of “that certain age” to share the rich adventures that life brings after…well, after a certain age. 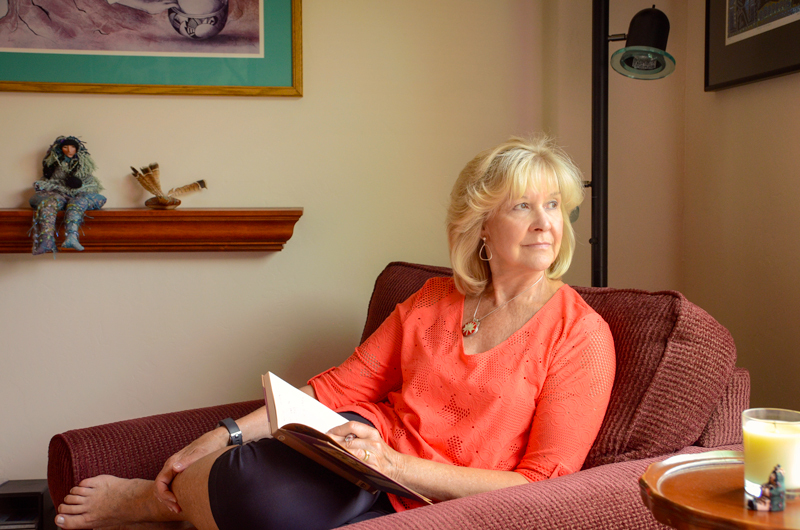 New Jersey — Scriveners – Co-founder, women’s writing group; The Write Group of Montclair; Memoir and Muffins – Founder; Seasonal Storytellers and Evening of Memoir – Extroverted authors who love to share their stories. Ekphrasis participant- 2013, 2015. Toastmasters International — member, officer, presenter in clubs in New Jersey and Arizona 1997-2017. Achieved the highest certification of Distinguished Toastmaster.